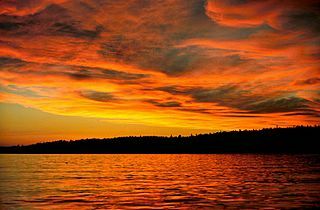 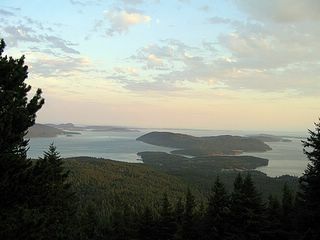 San Juan Islands Pictures, San Juan Islands Picture Gallery, WA. 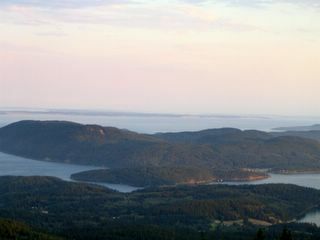 Sunset in the San Juan Islands. 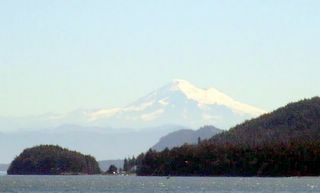 Picture of Mount Baker located on Washington's mainland. 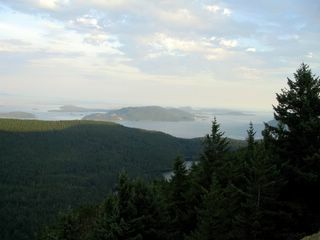 View from just outside Obstruction Pass Bay, Orcas Island. 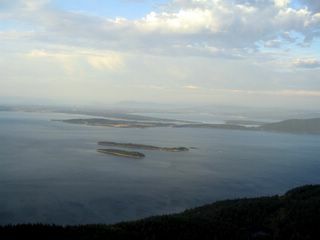 View Pictures, Aerial Photos and Map of Islands. 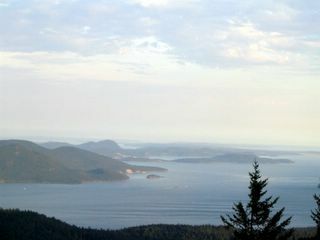 View Pictures of San Juan Islands Ferries, Ferry Route Map, Anacortes and Friday Harbor Ferry Terminal Cams and More! 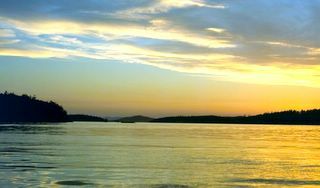 Recreation, Historical Sites, Newspapers, San Juan Islands Ferry Schedules, San Juan Islands Map and Pictures. 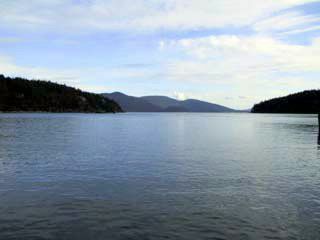 San Juan Islands Directory, the San Juan Islands travel and tourism portal.